Successfully Added High Resolution Endoscope - IP66 Rating, 6 LED Lights, 1300×1200 Video Resolution, 15 Meter Long Cable, USB 2.0 to your Shopping Cart. 1300x1200 Resolution for a detailed view of leaks and blockages. 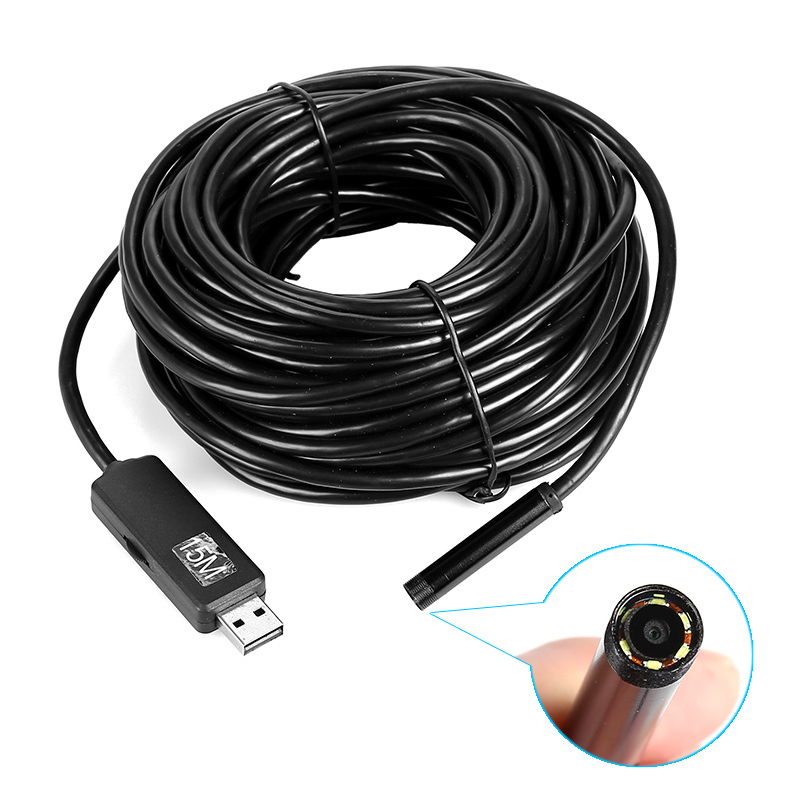 This 15 Meter long endoscope with 1/9 inch CMOS sensor lets you get a detailed view of hard to reach areas. Ideal for tracking pipe leaks and blockages as well as working in hard to reach areas such as machinery maintenance and DIY jobs. An IP66 waterproof rating means it can be used in water pipes as well as dirty and wet environments so it is a valuable addition to any tradesmen or home improvement toolkit. With 6 white LED lights you can get a clear view of darken spaces and capture high definition video od the darkest recesses. This endoscope is easy to use simply by plugging it into the |USB port of a computer running on Windows 2000, XP, Vista, Windows 7, Windows 8 or supported Mac OS. This 15 meters long HD endoscope comes with 12 months warranty, brought to you by the leader in electronic devices as well as wholesale cool gadgets.